Earlier in the year, I explained the limitations of my lighter Osprey atoms 50 pack. Beyond 35 pounds, it tends to get uncomfortable, and past 40 it’s downright painful. And with 8 pounds of camera gear, it doesn’t take much to hit up against the upper limits of that pack. A recent trip had me carrying some extra gear from my wife, who’s knee was bothering her, and the heavy load had my neck strained leading to a splitting headache by the end of the hike out. And with my hike in Glacier National Park coming up—including at least 6 days without resupply, and enough wildlife that there was no way I’d leave my heavy telephoto lens behind—I needed something more. I did a lot of research and visited REI a half dozen times, all in search of the perfect pack for heavier loads. I loved by Osprey Atmos, and I was strongly drawn to the new Atmos packs. 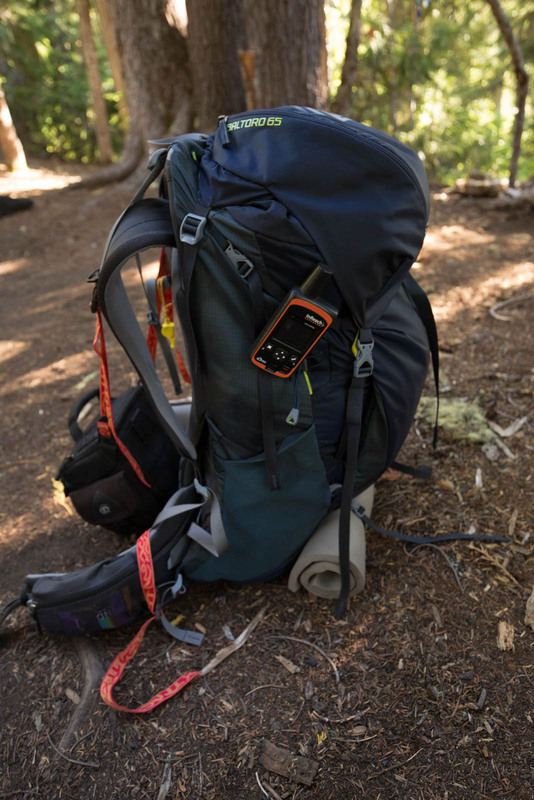 Particularly, the Atmos 65 is rated to up to 50 pounds, more than I wanted to carry. But the guys at REI kept veering me away from that pack, saying that the mesh style packs like that didn’t really work great with heavier loads. Reviews from Backpacker and Outside Magazine seemed to contradict this. But I had also read great reviews of the Gregory Baltoro. Having never owned a Gregory, I was curious to try one, and knowing REI had such a great return policy, I decided it was worth the risk. So, I settled in and purchased perhaps the most expensive pack I’ve ever bought. I shook my head at the marketing of “well, but it comes with a rain cover and day pack built in,” both of which I already had (and my day pack was half the weight of and more comfortable than the included 4 ounce pack). The pack cover, however, was a worthwhile feature. Because it came with the pack, it was fitted perfectly to it, including connection points to the pack so that it would not slip and slide around as is often the case with pack covers. The weight of the Baltoro was confusing and, in the end, misrepresented on the retail tag (which indicated the pack was 5 pounds, 12 ounces without the rain cover and day pack). In reality, the Medium size is about 5 pounds. That misrepresentation alone almost sent me back, but I was committed to giving this heavy pack a try. Having always carried packs less than 3 pounds and generally in the range of 50 liters, this was a big shift for me. Skeptical as I was, I decided if I was going to try this pack, I was going all the way. My first outing with this beast was a 10 mile hike into Golden Lakes in Mount Rainier, and I weighed in at just about 50 pounds. With a huff and a puff, I shouldered this beast. After doing some small adjustments to get all the straps secure, I was instantly amazed by how much this pack did not feel like 50 pounds. As we set out on the trail, I was amazed by how comfortable it felt on my back. Being brand new, there were some adjustments as I went, but my back, shoulders, and hips were feeling strong. The comfort was due to a spectacular suspension system. each of the four shoulder and hip straps were independently attached, allow for a surprising flexibility of movement when wearing the pack (rather than older packs that served as as backboard, restricting your hips natural sway). Load stabilizers attached at around 45 degrees (if you sized the pack correctly) to the X-style frame allow you to transfer the weight off your shoulders and onto your breast bone, a much stronger and large surface. Lastly, a removable lumbar support helps keep the pack firmly on your lower back, especially for hikers with a deep S curve to their lower spine, like me. Unfortunately all good things must end. My back, shoulders, and hips felt fine, but my leg muscles balked under the 50 pounds. 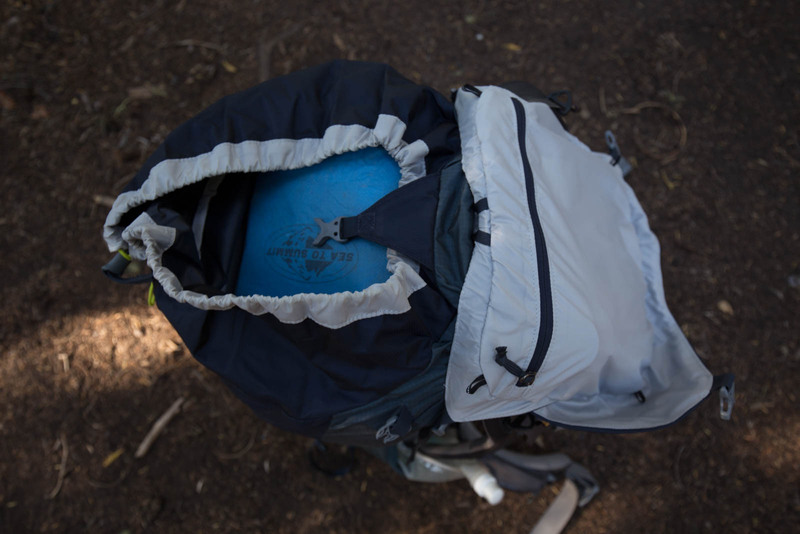 It turns out, a good pack can make 50 pounds feel a lot more comfortable, but it can’t make it any lighter. 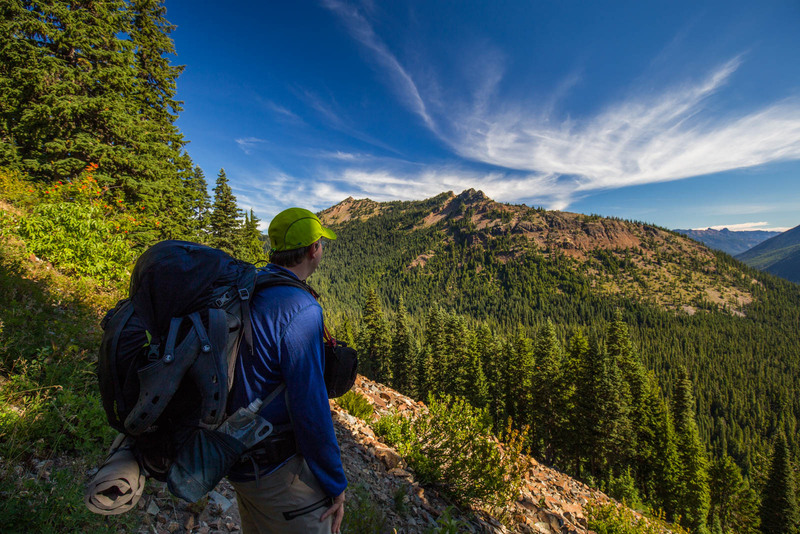 Having carried loads in the 30-35 range for much of my backpacking life, 50 was a big change. But, if there is a pack I’d want to carry that much in, this was it. I was definitely tired by the time we finally reached camp 10 miles in, but my back, neck, shoulders felt great. Already, I was identifying the luxuries that would not be coming with us on our next trip to Rainier’s Northern Loop. I knew I wanted to save 10 pounds of my load for that longer 5-day trip. But here is where the debate resurfaced. If I was never going to carry 50 pounds, why not get a lighter pack? With 40 pounds as my target, surely I could shave a pound off my pack? But, the reality was, shaving a pound off was hard. Many of the other packs in this range still came in at 4.5 pounds. 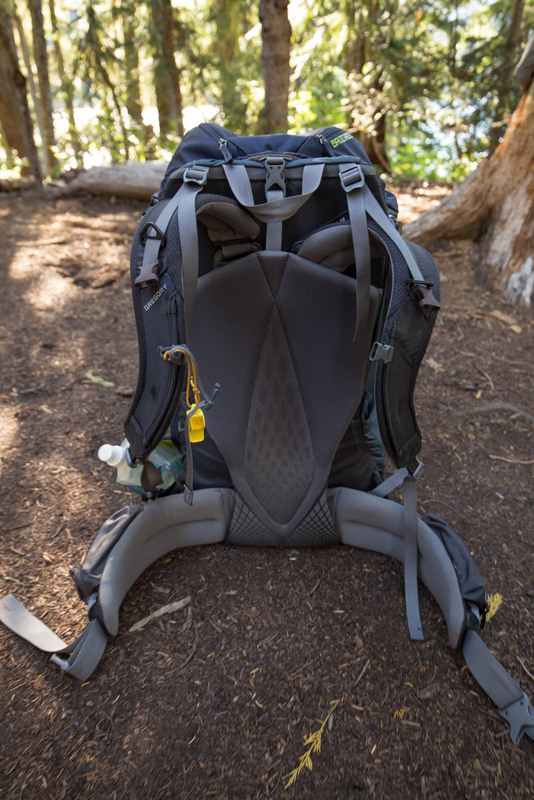 And, already having a lighter weight, smaller capacity pack, having this very large pack that could handle those higher loads seemed like a good second pack to have. 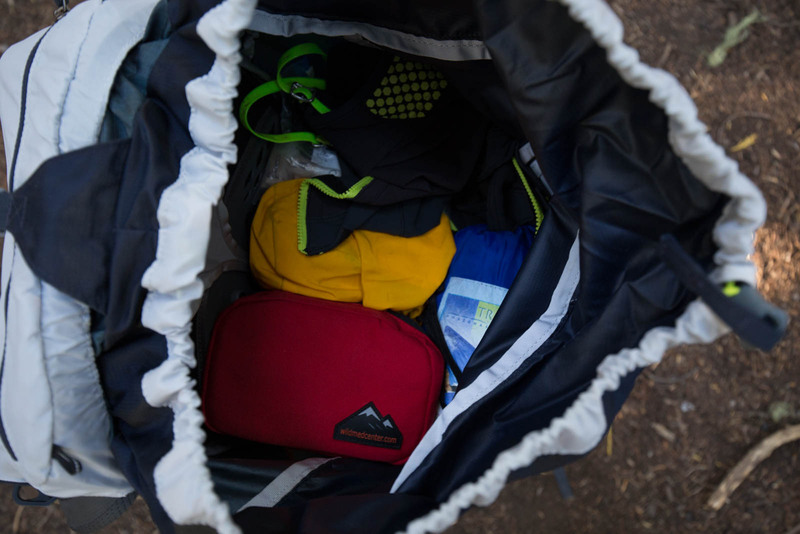 The main compartment is accessible three ways: the top draw string closure, the large U-Zip, and the sleeping bag access zipper. 2 bottom straps, great for pads, tents, etc. My first move was to remove the sleeping bag compartment separator. I simply don’t pack that way. (Read more in Too Many Zippers below.) In my old Osprey, my water went into the mesh side pocket and the hydration rube ran up along the shoulder strap. This allows for quick and easy refilling and avoids dealing with a wet water bottle or risking a puncture inside my pack. Unfortunately, the hydration tube holder on the shoulder strap was on the side with the water bottle pocket, making for a long re-route if I wanted to store the water that way. However, with the easy to access water bottle pocket, I was in a position to get ride of the extra ounces of tube and drink straight from my Platypus. I found this extremely easy and quickly shed some more weight. The second re-thinking came before I left for Golden Lakes. The Baltoro has a very different top pocket configuration. Rather than one large zipper along the top, this had two pocket side by side. This allows me to do something different with my setup. Rather than carry my large camera bag that could fit my camera, wide angle , and telephoto, I was able to fit the telephoto lens into this top pocket and easily access it quickly while hiking without having to rummage through all the other items in a larger top pocket. This allowed me to take my much smaller and lighter camera bag. It made visibility with where I was stepping much easier, reduced the bulk on my chest, and let me shave almost a full pound off my camera gear by shedding the heavier bag. The result was that this 5 pound pack essentially saved me a pound, allowing the Baltoro to easily compete with other 4 pound packs for me. I will note, however, that at 65 liters, if you don’t fill the pack up all the way (which for shorter trips in warmer weather is the case for me), it can become much more difficult to reach those top pockets. I found this to be the case at the end of my Northern Loop Trip. Having shed a lot of luxuries, and taken my lighter summer bag, I found that near the end of the trip, getting out the telephoto lens was a bit more difficult, though not undoable. I also was sad to see the mesh back panel of my Atmos go. The breathability and lack of a cold rush when putting a sweat pack on would be greatly missed. But, I discovered that despite having lost the mesh backing, the pack still ventilated pretty well and had surprisingly fewer cold rushes when putting the pack back on than I’d expected. I do have one gripe about the pack. Many readers will tilt their heads in confusion at this, but for how I backpack, the Gregory has too many zippers. This pack could probably save a half a pound of more if it didn’t have so many heavy zippers on it. I have yet to use the sleeping bag zipper, and have so far only used the larger U-Zipper one time, not worth the extra weight. By the time I get to camp, most everything comes out of my pack: my tent, sleeping bag, pad, food, and clothes (later to be my pillow) take up almost the entire bulk of the pack and they come out for camp. So when I get to camp, I pull open the top and just start bringing things out. Using the U-Zip for this would require laying the side of the pack I wear on the dirty ground. The cushion there is more prone to pick up dirt and while dirt on the rest of the pack doesn’t matter, dirt there will rub into my back while I hike. Many of you may love that zipper and shake your head at me, but I’d as soon have a lighter pack. But that’s not the target audience for this pack, so we’re unlikely to ever see a zipper reduction. Regardless of my one gripe, as I wrapped my head around a new way of carrying gear, I suddenly wondered what it would like to be without it on my shorter and lighter expeditions. I have, since then, gone back to my Atmos when the weights remained low, but I definitely find myself not wanting to carry my heavy camera bag just to bring my telephoto lens, so I think my Gregory Baltoro is going to get a lot of use.